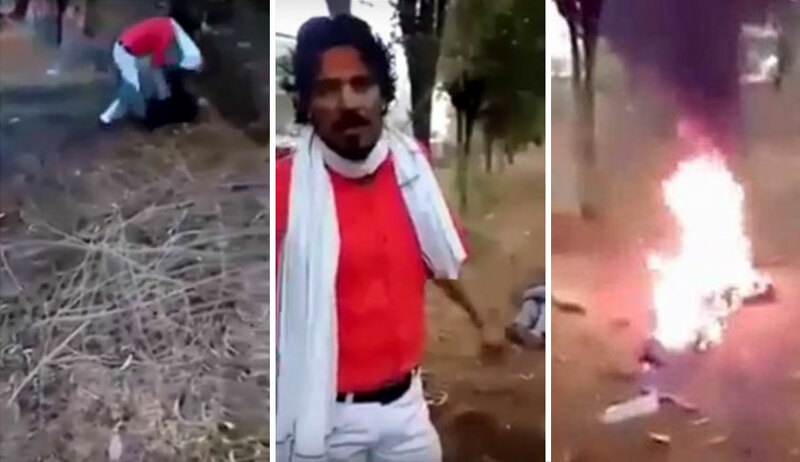 The Supreme Court on Friday asked the Rajasthan Government to explain whether Shambhu Lal Raigar, who is accused of hate crime by hacking and burning a Muslim man to death, happened to upload videos while being lodged in Jodhpur jail and if so, how was it possible. "The State shall, in particular, explain whether a video was uploaded from within the jail premises by the newly added respondent and, if so, how that was possible", ordered the bench of Justices D Y Chandrachud and M R Shah. The order was passed on a plea by Gulbahar Bibi, the widow of Afrazul Khan, who was allegedly killed by Raigar. She is seeking handing over of investigation to CBI. She also pointed out that Ragiar had uploaded a video from jail during February, spewing communal hatred. Therefore, an interim application was filed in the petition, seeking transfer of the accused from Jodhpur jail to Tihar jail. It was alleged that Raigar was enjoying special privileges in Jodhpur jail. While the application was pending, yet another video was allegedly uploaded by him. On the prayer for transfer, the Court added Raigar as an additional respondent and issued notice. The Government has been directed to file counter affidavit, particularly explaining the circumstances of video. According to the petition, on the fateful day of 6th December, the petitioner’s husband, Afrazul Khan was murdered brutally by Shambhu Lal Raigar, who not only mercilessly and cruelly killed her husband but also recorded the entire incident through his 14-year old nephew. In the video Raigar was seen hitting the deceased with a long-axe repeatedly and burning his body. He was also seen making communal threats in the video. The petition was filed through Advocate Fuzail Ahmed Ayyubi. Senior Advocate Indira Jaising appeared for the petitioner.